The Honor 10 Lite is yet another smartphone that focuses on the selfie-centric crowd. But there’s a lot more it has to offer. Here’s our review. Honor 10 Lite is a selfie-centric smartphone with 24-megapixel front camera. The smartphone is powered by a Kirin 710 12nm octa-core chipset. Honor 10 Lite runs Android 9 Pie with EMUI skin on top. Honor had a great run in 2018 with some successful smartphones under its portfolio, the ones that made its presence felt. Now, as the new year dawns upon us, the company has launched its first smartphone of 2019 – the Honor 10 Lite. As the name suggests, it is the successor to last year’s Honor 9 Lite, but you can also call it the watered-down version of the flagship Honor 10 smartphone. The 10 Lite comes with a full-screen display featuring a dewdrop notch, a powerful Kirin 710 SoC made on 12nm process, AI dual rear cameras and a 24-megapixel selfie snapper. 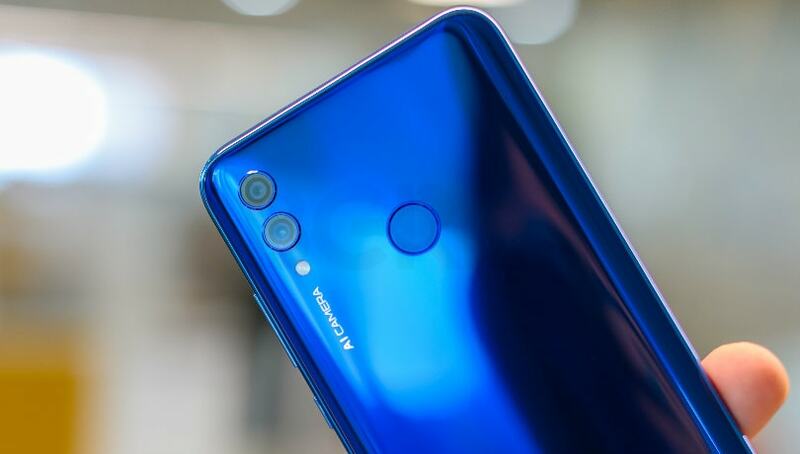 Priced at Rs 13,999 for 4GB RAM variant, and Rs 17,999 for 6GB RAM variant, Honor is once again focusing on the youth, but this time, more towards the selfie clicking audience. It is available to purchase from Flipkart. 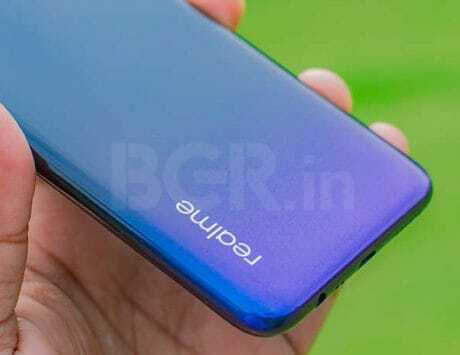 The Honor 10 Lite will compete with Realme U1, Asus Zenfone Max Pro M2 and Xiaomi Redmi Note 6 Pro, among others. But has Honor done enough to outshine the competition? 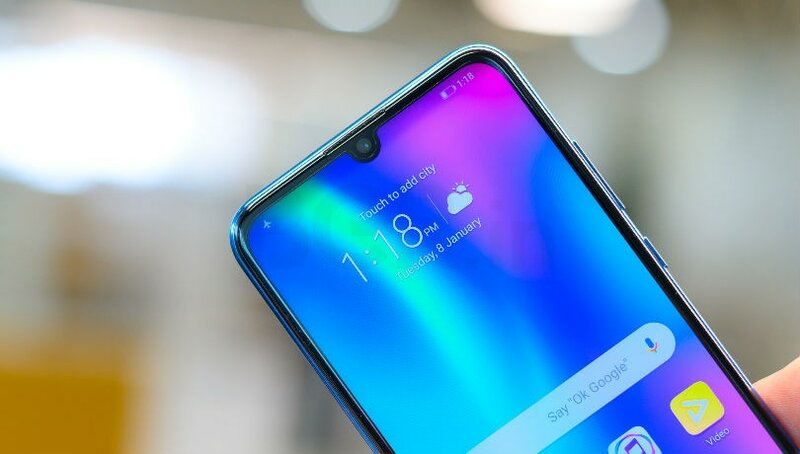 Today, an increasing number of OEMs are focusing on glass back design and gradient colors to give their smartphones a refreshing look, and the Honor 10 Lite is no different. 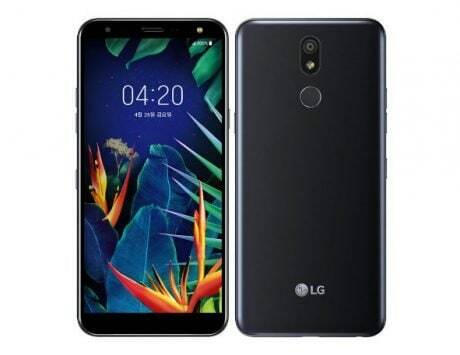 The front is dominated by a 6.21-inch display with an impressive screen to body ratio of 91 percent, and an aspect ratio of 19.5:9. 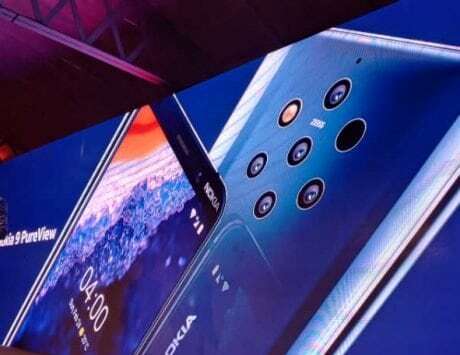 There is also a small dewdrop style notch, which is the tiniest one that we have seen on Honor phones, and it houses the front camera. 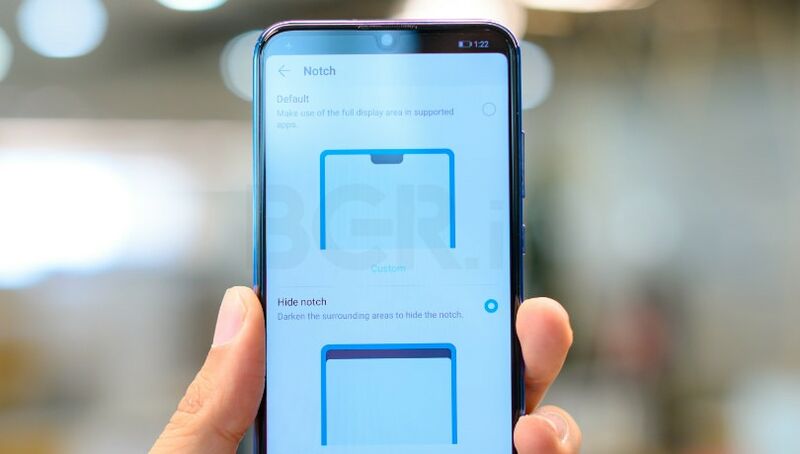 If you don’t like the notch, there is an option within settings to hide it as well. There is a very thin chin at the bottom, and it has been possible chip-on-film screen technology, which is similar to what we have seen on Apple iPhone X and iPhone XS series. 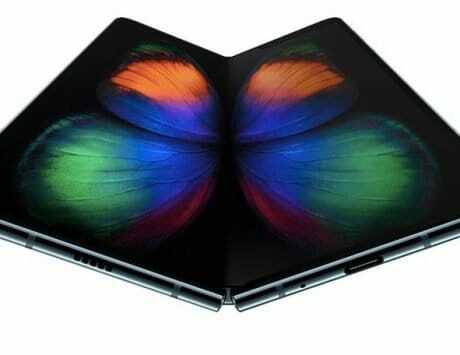 The back is made from laminated polymer material with a glossy finish, which gives it a glass-like look and feel. 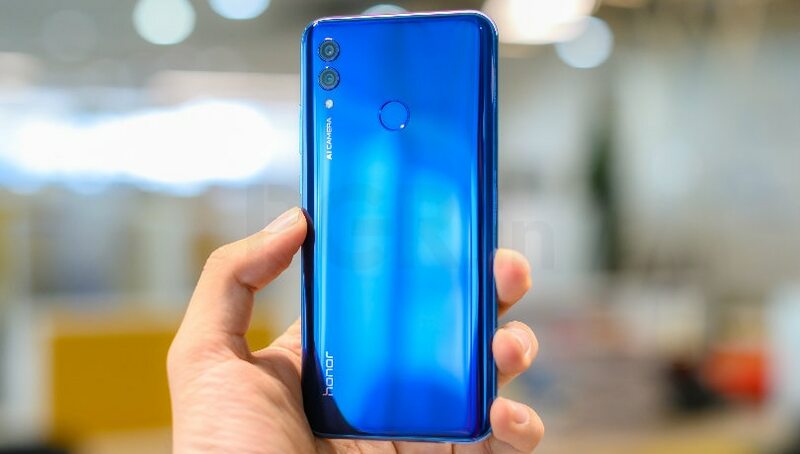 The color scheme used by Honor at the back is sure to turn a few heads around, and it reflects light as you turn the smartphone in different angles. And yes, the usual problem with glossy backs – fingerprint magnet and slippery back – continues here too. The Honor 10 Lite is one of the few affordable smartphones that run on the latest Android 9 Pie OS. 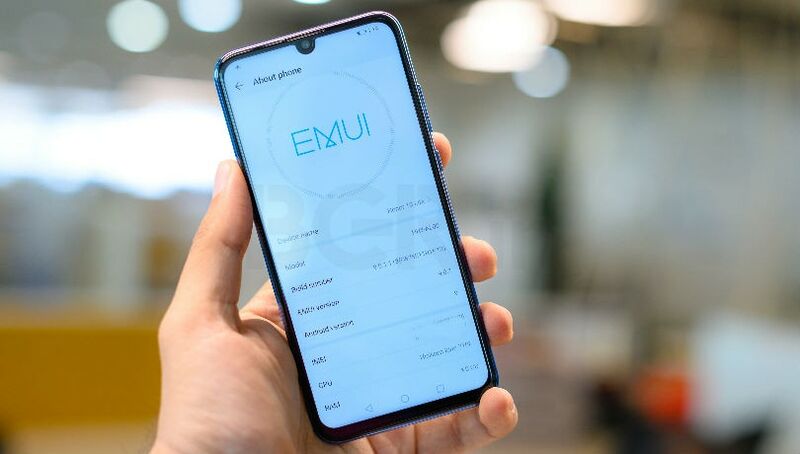 Of course, there is the EMUI 9 skin on top, which some may not prefer, but it has matured over the years and isn’t that bad as before. You get all the Android Pie features, and Honor has added some of its features too. There is Party Mode which lets you connect more than one Honor phone via Bluetooth and play the same song on all phones, and a Ride Mode, that keeps distractions away while you are riding. It also lets callers know that you are driving and that you will get back to them later. 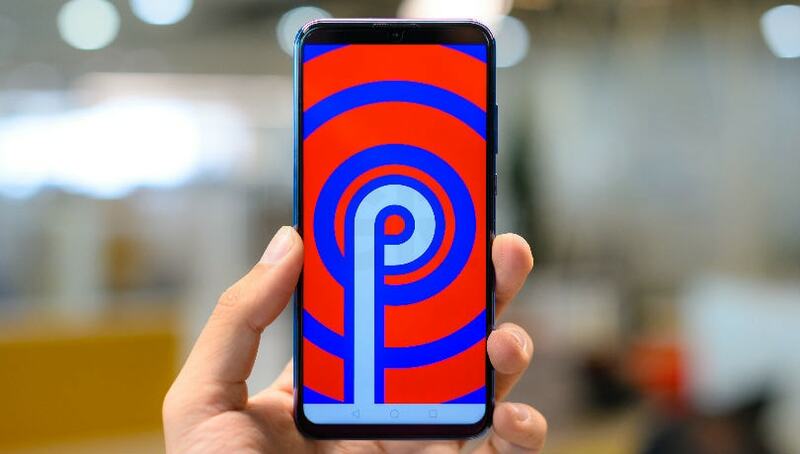 Then there are full-screen gesture controls that can be activated from the system settings, helping you get rid of the on-screen navigation buttons, and have more screen space. Then there is GPU Turbo feature which clears background apps, thus allocating more RAM and resources to enjoy smooth gaming performance. You can add games and even apps like Netflix, Amazon Prime video among others from Settings > Apps > AppAssistant. When activated, it will restrict all the notifications – from calls, messages and apps, without distracting your gameplay or video watching experience. 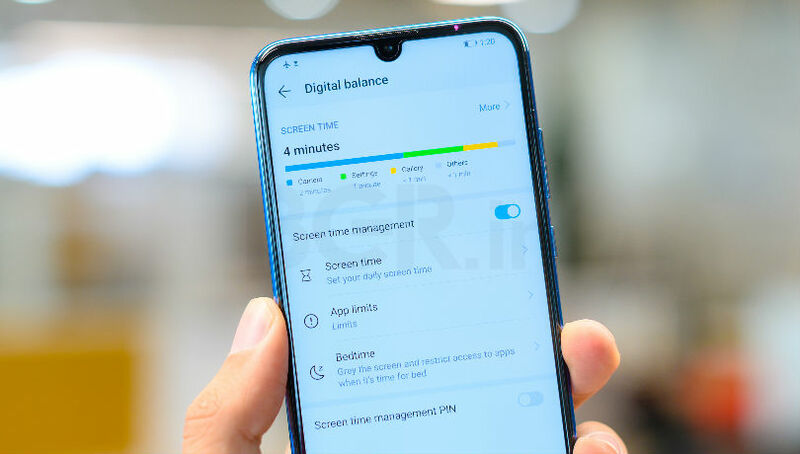 Honor has also added Digital Balance feature, which is the company’s version of Digital Wellbeing. It monitors your usage habits, and allows you to manage your screen timings and the amount of time you spend using each app. Besides the design, cameras are the other highlight of the smartphone. Let’s begin with the 24-megapixel front camera. It has an aperture of f/2.0, and is AI-powered that can recognize over 200 scenarios across 8 different categories. Unlike other OEMs, Honor’s camera app does show on-screen text to whatever it recognizes in the scene. For instance, blue sky, indoor room, beach, snow, dog, and more. Based on the scenario, it applies effects accordingly, and it does a fairly decent job. Selfies shot outdoors in ample lighting conditions are very detailed, even when you zoom them, and skin tones are good too. There is beauty mode as well, but that just smoothens the skin. The AI adds minor tweaks, like increase color saturation, contrast and a bit of white balance. While some people may like it, others may want to go with the natural look. Low-light selfies too look decent, but not great. There is also AI portrait mode that does a decent job outdoors, but at times indoor photos turn out blurry. Also, edge detection isn’t that good. Portrait lighting effects are just average. Below are some sample shots. 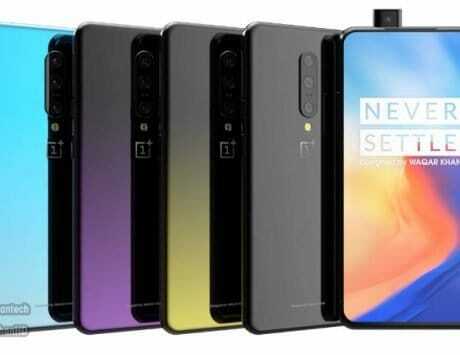 At the back, you get dual rear cameras comprising of a 13-megapixel primary snapper (f/1.8 aperture) and a 2-megapixel (f/2.4 aperture) depth sensor. The cameras are good in daylight, capturing enough details. 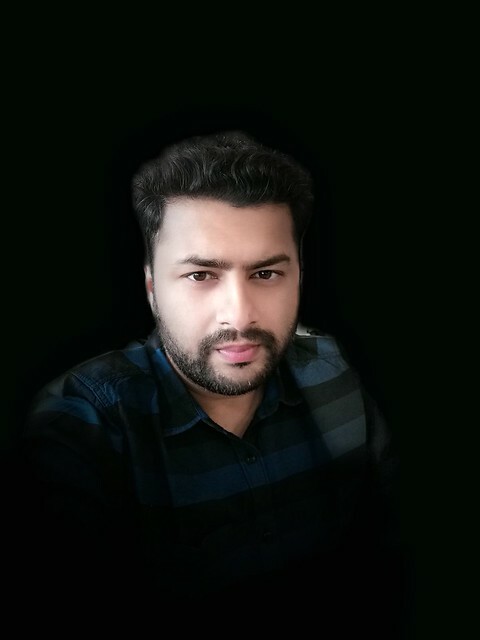 The portrait mode still suffers edge detection issues, but you can’t expect more from a sub Rs 18,000 smartphone. 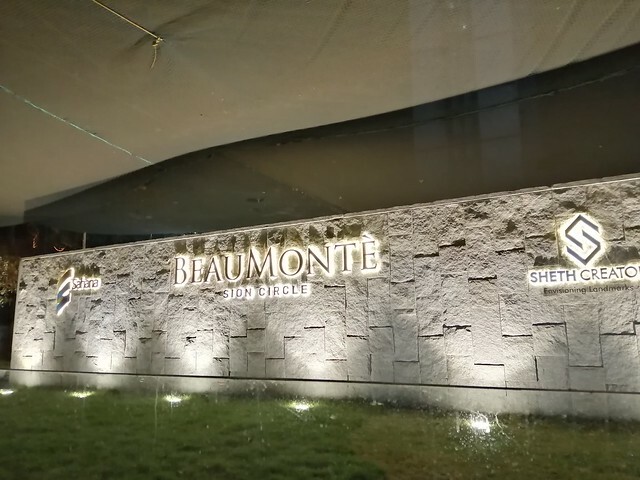 Low-light photos are satisfactory, and there is a night mode too, just like on the Pixel 3 and other phones. The only issue at times is over-exposure. Below are some sample shots. Performance wise, I absolutely had no issues with the Honor 10 Lite. Much of the credit can be given to the powerful Kirin 710 SoC. While it is not a flagship chipset, but it has four A73 cores doing the heavy lifting, whereas the four Cortex-A53 cores are for efficiency. Whether it is using apps like Chrome, Facebook or WhatsApp, or as intense as playing Asphalt 9: Legends, the chipset can handle a lot of things that you throw at it. Even playing games like PUBG was a smooth experience. For the review, I had the 6GB RAM variant. Battery life on the smartphone is also very good. It is armed with a 3,400mAh battery, and Honor has bundled a standard 10W charger, which tops up the battery from empty to full in one hour 35 minutes. On a full charge, you can get a day worth juice, with some battery left. If you have more heavy usage, like playing games for at least 45 minutes to an hour daily, the battery can still last till the evening. For security, Honor has included a fingerprint scanner at the back, and it works as expected. There is also face unlock that uses the front camera to scan your face and unlock the smartphone. In daylight conditions, the scanning is quick, however, in low-light conditions, it tends to struggle, and takes about a few seconds to unlock the device. Verdict: Should you buy the Honor 10 Lite? If you are looking for a smartphone under Rs 15,000 range, there are a lot of options, and picking the right one can be confusing. The Honor 10 Lite is a perfect example of a well-rounded package. You get a sleek and good-looking design, and a high-resolution selfie camera, and a powerful chipset, that is also efficient. Battery life and overall performance on the smartphone is also good. However, I have a few complaints. Firstly, the camera performance could have been slightly better, secondly, the UI could have been smoother. You will feel the need more when using gesture navigation. The price of Rs 13,999 is fiar for the base variant, but asking Rs 3,000 extra for the top-end model with 6GB RAM is little too much. 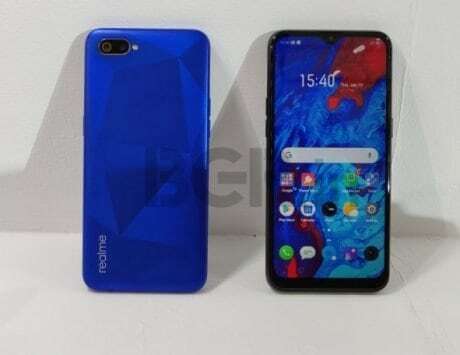 For that price, one would rather go for the Realme 2 Pro 8GB RAM with 128GB storage model. 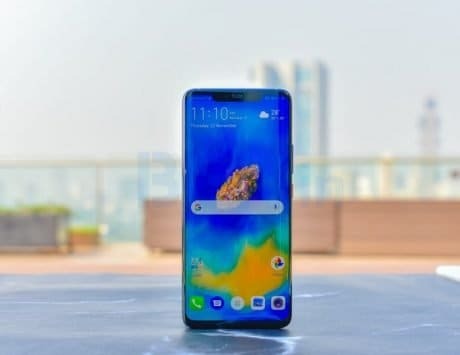 The Realme U1 is also a good option in the price range. 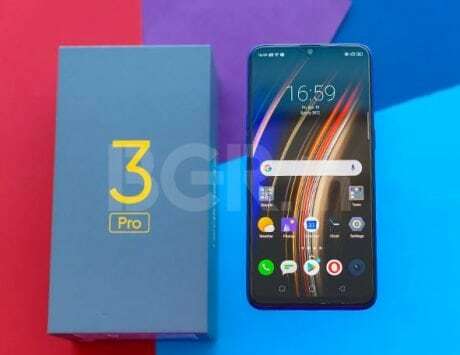 Then there is the Zenfone Max Pro M2 with a massive 5,000mAh battery, near stock Android OS and a good design, something that you can go for. And if you want more stable performance, the Redmi Note 6 Pro is another all-rounder smartphone that you cannot go wrong with.